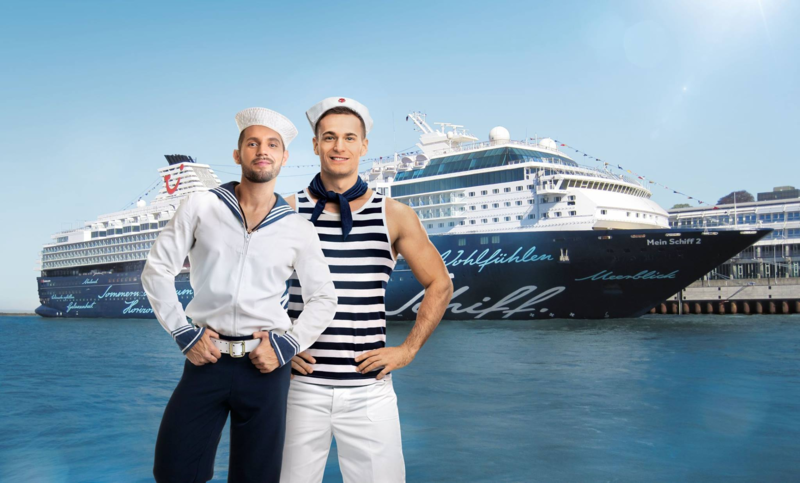 Already a pioneer when it comes to themed cruises, TUI Cruises is coming out and organising the first German cruise for the LGBT community. TUI Cruises, a joint venture between German travel company TUI AG. and American cruise line operator Royal Caribbean Cruises Ltd., specialises in cruises for German-speaking customers who want premium all inclusive holidays. Currently TUI Cruises operates 4 ships, with imaginative names such as Mein Schiff 1, Mein Schiff 2, Mein Schiff 3 and Mein Schiff 4. The cruise line has 4 ships on order, with the first, Mein Schiff 5, expected to be delivered in July 2016. Starting 29 April 2017 Men Schiff 2 will hoist the rainbowflag and be the home for the first ever Rainbow Cruise. In a statement TUI Cruises CEO Wybcke Meier declares her company is organising this cruise to set an example for diversity (“Wir möchten mit der Reise ein Zeichen für Vielfalt setzen”). The party starts in Palma de Mallorca and continues until it ends 8 days later in Valetta (Malta). The cruise across the Western Mediterranean stops overnight in Barcelona (Spain), giving the guests the opportunity to enjoy the local nightlife. 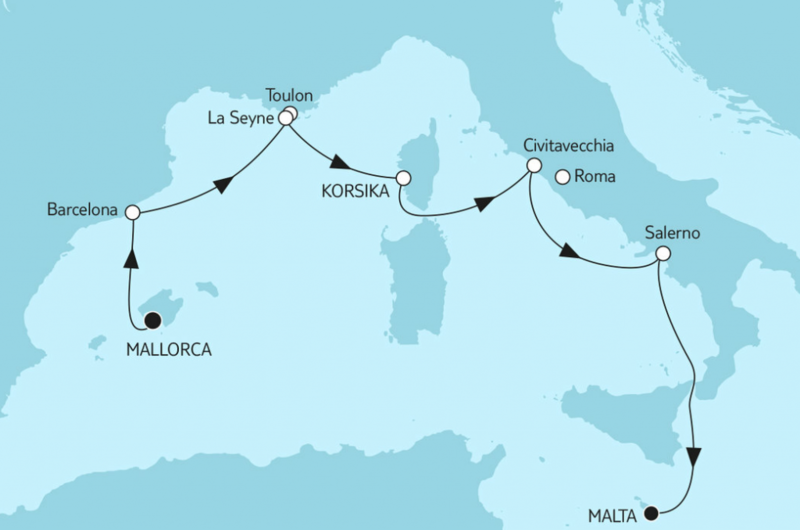 Other ports include La Seyne/Toulon (France), Ajaccio (Corsica), Civitavecchia/Rome (Italy) and Salerno (Italy). 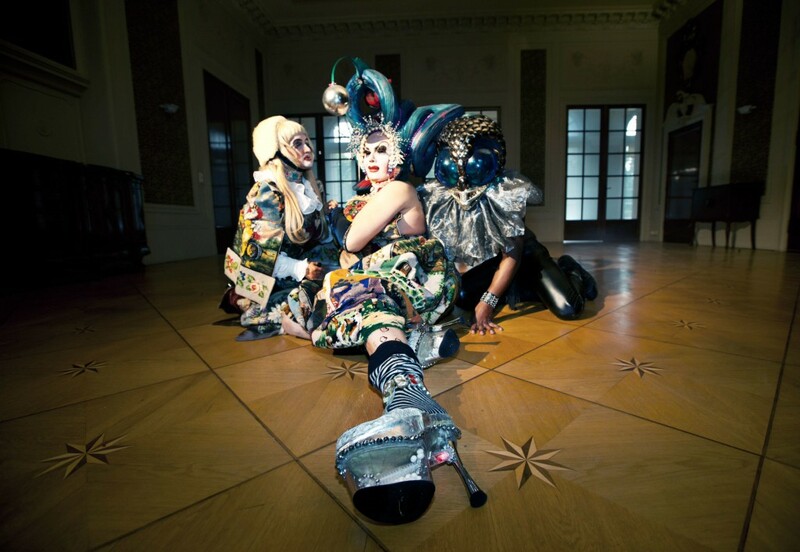 Guests can look forward to a cruise filled with parties and special performances by artists ranging from cabaret to drag queens. 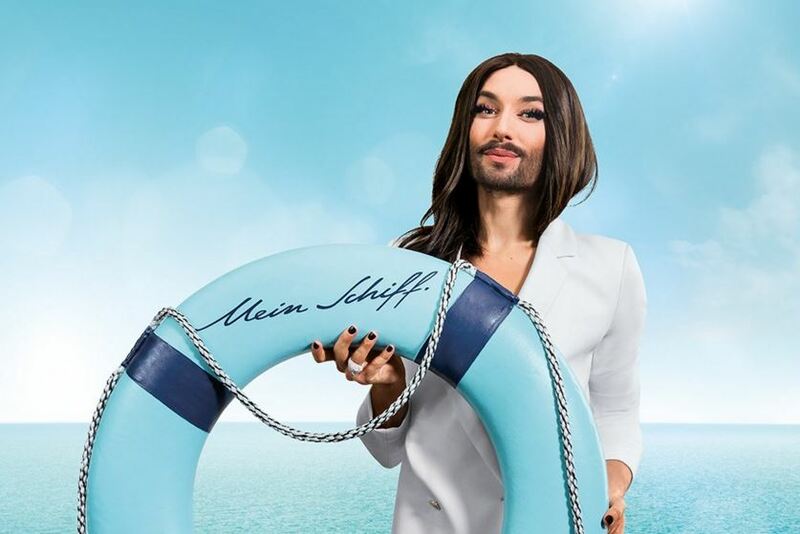 Conchita Wurst, winner of the 2014 Eurovision song contest, will Rise Like a Phoenix on the stage during the Rainbow cruise. Bookings can be made online at tuicruises.com or with your favourite travelagent.